Slip and fall accidents follow the general principles of negligence law as outlined in this section. The responsibility of those who own or possess property depends on the standard of care owed to an injured person. 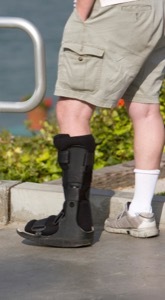 The standard of care depends upon the injured persons status on the property. Maryland Pattern Jury Instruction 24:1. There are 4 types of classifications of people in the area of premises liability. An invitee is one that is invited or allowed to be on the property of another for business purposes. Maryland pattern jury instructions hereafter MPJI 24:2. A social guest or licensee by invitation is one that is allowed on the property for no business purpose, but as the guest of the property owner. MPJI 24:2. A bare licensee is one that is on the property with the consent of the owner, but not with an invite and is only there to further their own interests. MPJI 24:2. A Trespasser is one that is on the property without the consent of the owner of the properly. MPJI 24:2. The duty owed to an invitee is to use reasonable care to see that those portions of the property that the invitee may use are safe. MPJI 24:3. The duty owed to a social guest or licensee by invitation is to exercise reasonable care to make the premises safe or warn the guest of known dangerous conditions that cannot be reasonably discovered by the guest. MPJI 24:4. The duty to a bare licensee or trespasser is to refrain from willful injury or entrapment. A bare licensee or trespasser takes the property as it exists. MPJI 24:5. 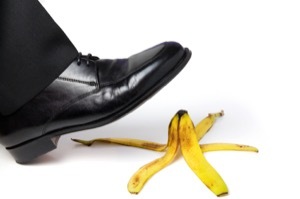 In all slip and fall cases, the issue of notice becomes a crucial element in any case. A plaintiff cannot recover for an injury involving a dangerous condition, unless the plaintiff can show that the owner had knowledge of the dangerous condition prior to injury of the plaintiff. The Plaintiff can either show that the owner had actual knowledge of the dangerous condition or constructive knowledge of the dangerous condition. Injuries resulting from a slip and fall can be very severe. Often the injured party may have landed on his or her head and suffered significant closed head injuries. On the other hand, if the injured party falls to their knees or falls awkwardly, severe injury to the neck, back, arms or legs can result. It is important to be able to prove that the owner or occupier of the premises where the fall occurred had notice of the condition of the premises in sufficient time to remedy the problem. Notice can be actual notice where somebody on the premises was made aware of a condition long in advance of the injury and had sufficient time to correct the problem before the accident but failed to do so. Notice can also be what is called constructive notice which means that the condition of the premises had existed for such a period of time before the accident that by routine inspection it could have been observed and corrected before the accident occurred. An experienced slip and fall personal injury attorney can help you investigate the necessary facts that may allow a slip and fall claim to be successful. It is important to note that there are many cases reported from the Court of Appeals of Maryland that make prevailing on a slip and fall case on ice or snow to be very problematical. Essentially, if a person knows or has reason to know of a dangerous condition created by ice or snow, they may be deemed to have assumed the risk of slipping and/or falling and thereby be denied their claim. Most attorneys are very careful in taking a slip and fall case on ice or snow to trial depending on the facts and circumstances of each case. In the event there is " black ice" on pavement that is not readily observable or if there is only one entrance or exit to a place that is covered by ice or snow, a claim has a better chance of succeeding. The legal information on this site is not intended to be legal advice. Contact one of our experienced slip and fall attorneys or lawyers today to get specific information and answers for your specific situation.